This means that we set high standards for our products and we keep innovating. We have our own R&D department where we are constantly involved in developing new products and improving our existing systems. A premium product scores high on all aspects of quality. Q-Blue heat exchangers are simple to install using common plumbing practices. In addition, our heat exchangers have low pressure loss and superb levels of efficiency. This means the end user benefits from energy and costs savings over the life of the Showersave®QB1, while not having to maintain the sstem during this time. 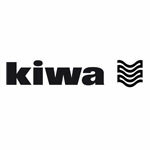 Q-Blue will soon be a KIWA certified product in accordance with BRL K656 which means that our production and the used materials are quality checked by KIWA. Our products are therefore provided with a watermark logo. 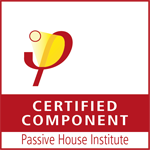 All Q-Blue Showersaves have been tested by KIWA and have yield certificates from both KIWA and the Passive House Institute. All Q-Blue Showersaves are also recognised by BCRG (Dutch Office for Control and Registration of Equivalence) and also by BRE (UK Building Research Establishment). This means quality controlled production, maximum comfort, high cost savings with a significant contribution to the reduction in CO2 emissions.